A Calgary-favourite place to eat, drink and gather. Led by co-chefs and co-owners John Jackson and Connie DeSousa, CHARCUT Roast House is one of Canada’s most lauded restaurants. The restaurant’s every detail – from the reclaimed local barn wood panelling to the mason jar chandeliers – transports the authenticity and soul of local, farm-fresh producers and their flavourful ingredients to downtown’s most energetic restaurant and bar. With house butchered meats, homemade preserves, seasonal menus, thoughtfully created cocktails, local craft beers, and a bustling open kitchen, Jackson, DeSousa and CHARCUT are helping put Calgary on the world’s culinary map. Located downtown near the Calgary Tower, CHARCUT calls the contemporary Le Germain building home. Inviting interiors feature reclaimed barn wood accents and original local art. CHARCUT supports local charity though its partnerships and pop-up restaurants. It brings global chefs together to collaborate and mentors a service-driven, quality conscious team. Upon opening CHARCUT was named to Canada's top 10 new restaurants by enRoute Magazine. The restaurant gains consistent high acclaim today. Drawing quality and creativity from collaboration, the co-chef concept works best at CHARCUT. Young, funny and deliriously hard working, Chef Jackson is making Calgary a better place to eat, live and love. Top Chef Canada: ALL STAR COMPETITOR, Chef DeSousa prepares authentic, regional food with value and acclaim. John Jackson and Connie DeSousa enter their eighth year as co-owners and co-executive chefs of Calgary, Alberta’s CHARCUT Roast House buoyed and mindful of value, sustainability, creativity and the promise food holds for community, local and global. Riding a wave of attention and a rush of critical and guest accolades, their urban-rustic fare shows Canada’s agricultural best in a busy and stylish downtown restaurant and bar. Each trained and staged in coveted food destinations. Notably, Jackson staged at London’s River Café and Paris’ Le Jardin des Cygnes; DeSousa at New York’s Jean-Georges and San Francisco’s Quince. A Prairie-born visionary and community change-maker, Jackson studied artisanal sausage-making in Italy’s Marche to fully appreciate the value of ingredient provenance. A native Albertan who is now considered one of Canada’s top female chefs after placing as a Food Network Top Chef Canada finalist, DeSousa honed her butchery skills in Berkeley at Chez Panisse. Before independent travels, they met and worked together in Calgary, then opened San Francisco’s prestigious Mobil 5-Star St. Regis Hotel, then returned to Calgary to open their first venture side-by-side in 2010. CHARCUT Roast House presents “back-to-basics” food expertly prepared, fresh and from scratch. Recognition highlights include: enRoute Magazine’s best new Canadian restaurant top-ten; Avenue Magazine’s Top 40 Under 40; FoodService and Hospitality Magazine’s Best Independent Restaurateurs; Vacay.ca’s best restaurant; Maclean’s Magazine top 50 Restaurants in Canada; ACE Bakery Tastemakers; Cook It Raw community ambassadors. The cookery-and-business partners are cause-conscious, raising funds and awareness for a range of charities. Their second venture charbar opened in June of 2015 in Calgary's trendy East Village. Alley Burger finds its home in charbar's alley, with a walk-thru window for a fast-service option, which is an experience like no other. Locally inspired, sourced and supported. CHARCUT works with honest, seasonal ingredients from small, local artisan farms and ranches to create flavourful, unpretentious dishes from scratch. Diners delight in the menu that changes seasonally and features a selection of house-made sausage and cured meats, as well as fresh cheeses and 'Table Snacks' like Bone Marrow au Gratin and Slow Roasted Heirloom Beets. 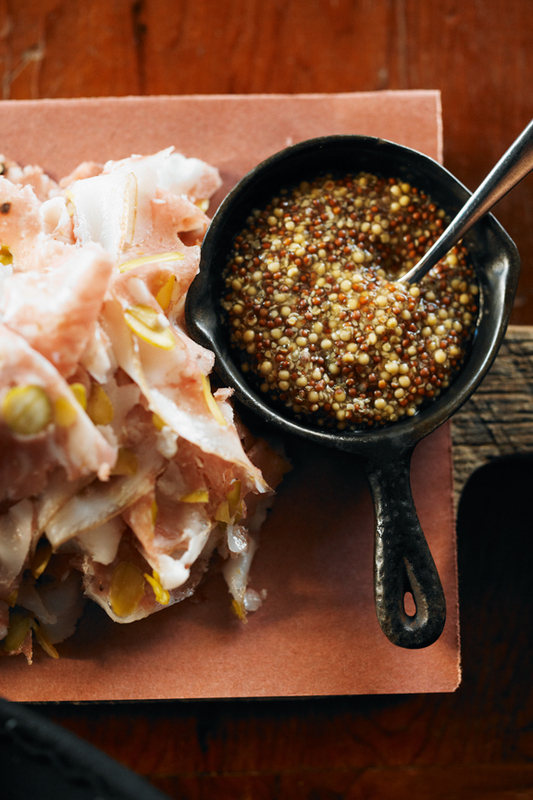 Other noteworthy dishes include rotisserie chicken, butcher steak and pig's head mortadella. Pop in for a pint and duck-fat poutine or house made charcuterie at the communal table in the bar or intimate sidewalk seating. Stage a great night out with friends or family in the raised semi private enclave. CHARCUT's lunch-all-at-once can be enjoyed in just 45-minutes and comes with a bag of freshly baked cookies to go. Settle in for a multi-course late-night feast to share and remember at a banquette table. 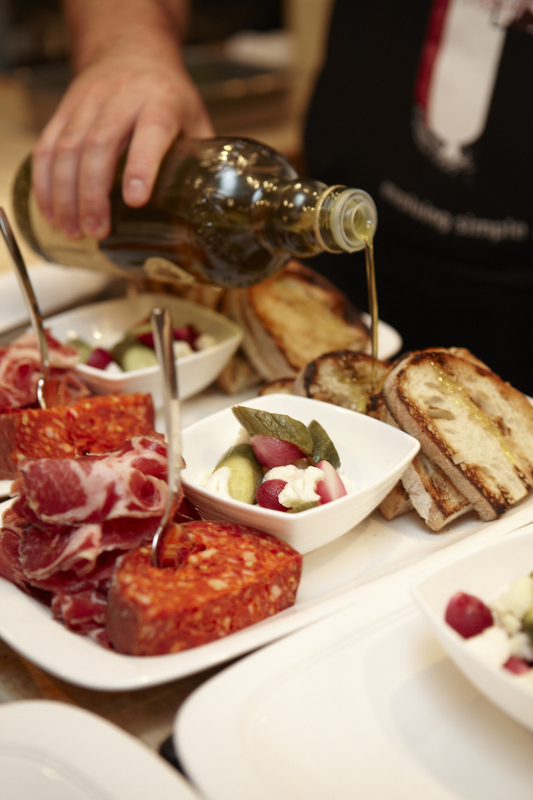 Or vie for a spot at the eating bar, overlooking the live-action open kitchen and interact with the chefs. Each experience is part of the CHARCUT charm. Calgary’s food scene is the talk of culinary critics’ and is on the map of Canadian musts. As an urban and cultural centre, surrounded by Alberta’s prairie pastures, Calgary offers distinctly local, fresh, and organic inspiration to chefs. Many local restaurants have adopted a farm-to-plate philosophy, in which they source products from the array of producers in the region. CHARCUT believes the secret to this philosophy is building strong relationships and partnerships with farmers, ranchers, and producers. Each dish on CHARCUT's menu has local roots that you can taste in every bite. Chefs take care to evolve the simplest organic ingredients into dishes acclaimed for flavour and presented to share, naturally. CHARCUT Roast House's uniquely Albertan offer of urban-rustic cuisine dished up in sleek downtown digs makes for one of Calgary's most exciting and popular restaurants. Located at 899 Centre Street SW in downtown Calgary, Alberta and is open daily including late-nights to 1 a.m. Wednesday to Saturday with a full menu available. CHARCUT Roast House creates an inviting, memorable gathering place with high energy and spontaneity. The name reflects the influences of urban rustic cuisine: CHAR for the custom built rotisserie and charbroiler and CUT for the featured vintage-style slicer and hand-crafted charcuterie eating bar. 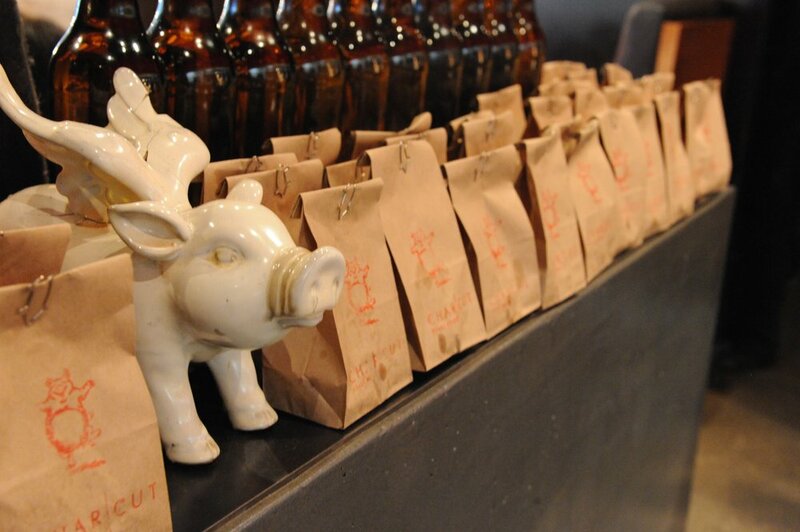 CHARCUT focuses great attention to detail on the quality of beverages served alongside the food. Ever-evolving wine and craft and cellar beer lists feature many small productions, rare finds and exciting New World varieties. The bar showcases back-to-basics style cocktails, handcrafted with organic ingredients, freshly squeezed juices and premium, small-production spirits. The CHARCUT kitchen is led by Co-Executive Chefs, Jackson and DeSousa. Their co-chef approach to food philosophy, menu creation and execution is drawing attention, accolades and a loyal following from casual diners to the toughest critics. Only together could these global culinary adventurers and proven trend cultivators create one of Canada’s most lauded restaurants. Opening in February 2010 to national acclaim, CHARCUT appeared on enRoute Magazine’s coveted ‘Top Ten New Restaurants’ list later that same year. In 2012, the restaurant was honoured by Maclean’s Magazine as one of Canada’s top 50 restaurants. The owners were awarded the top Canadian independent restaurateurs award by FoodService and Hospitality magazine, received Top 40 Under 40 designation by Avenue Magazine and Top Chefs under 40 by Western Living Magazine. They were named as one of the top five restaurants in Canada by Vacay.ca in 2013. Also in 2013, the CHARCUT owners received Tourism Calgary's prestigious White Hat Award. DeSousa was a Top Chef Canada finalist and she and Jackson have appeared on the show. They have played host to the crew from Food Network’s Eat Street (showcasing their popular Alley Burger Food Truck), and even a recent staging at the historic James Beard House in New York. CHARCUT has garnered a substantial fan base, ultimately growing its existing clientele and positioning Calgary and its local favourite restaurant status as an Alberta-must.